"Silvertip Badger" is the top grade type of Badger Hair. This is due to the rarity of the bristle. Silvertip badger Shaving Brush Knot, is made by hands. 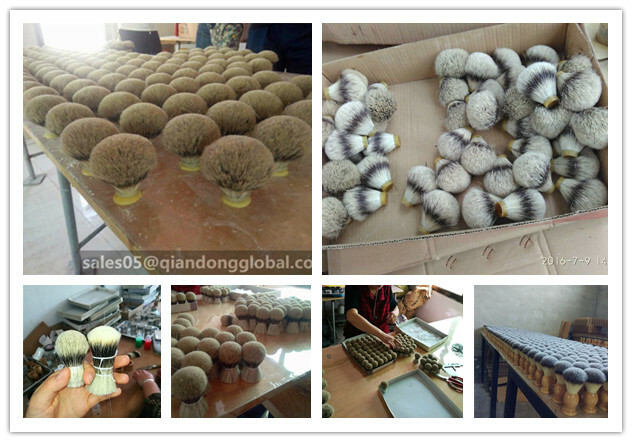 Our experienced workers excel at producing fan shaped and bulb shaped shave Brush Knots. Natural tips badger brush knots are welcomed by customers who want the best. 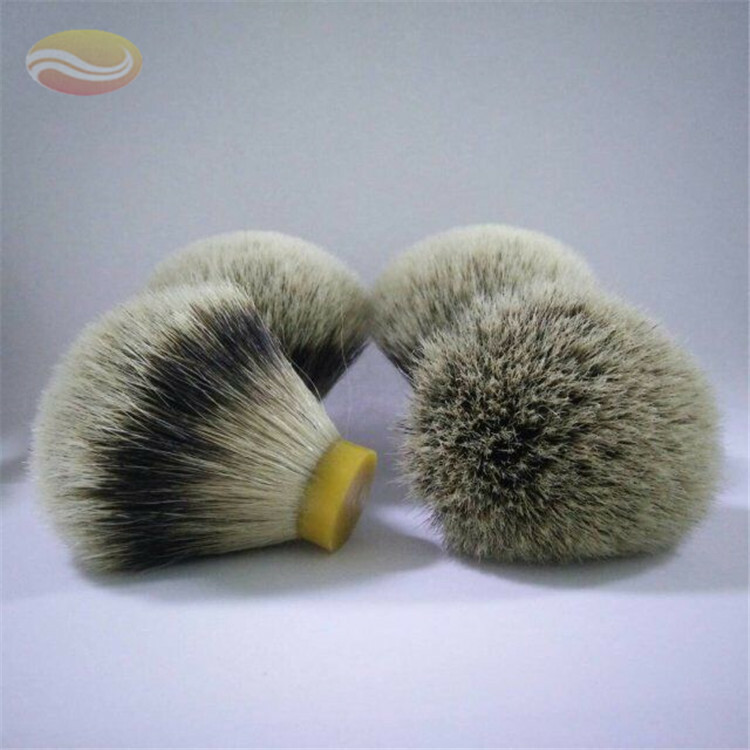 Shaving brushes made of Silvertip Badger Hair is durable and moderate. The shaving brush can be made into a rich foam and evenly spread the foam on the skin of the beard and the surrounding area, while giving the shaving process a moderate amount of stimulation, it is easy to remove the dirt from the pores. Most of the badger brush knots in the world come from Hebei province in China, where there are best material and experienced workers. 1. Are the badgers killed to make the brushes like minks etc for coats or are they shorn like sheep? The badgers are killed for food. Additionally, badgers are considered a crop nuisance in parts of China, because they are so numerous. 3. How about sample policy ? Samples of promotional products are free; samples customized are charged. All sample buyers bear the freight charges. 4. When will the goods delivery ? Samples need 3-5 working days; Small orders need 7-10 working days; Large orders need 20-30 working days. 5. Which payment way is workable? PayPal, Western Union, Moneygram,T/T (50%deposit, 50% balance). 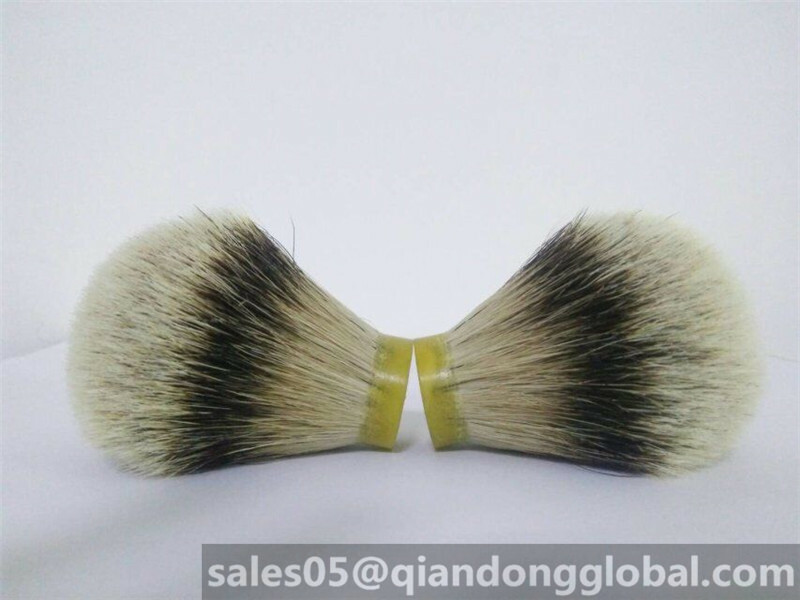 Looking for ideal Customize Badger Shaving Brush Knot Manufacturer & supplier ? We have a wide selection at great prices to help you get creative. All the Pure Badger Hair Brush Knot are quality guaranteed. 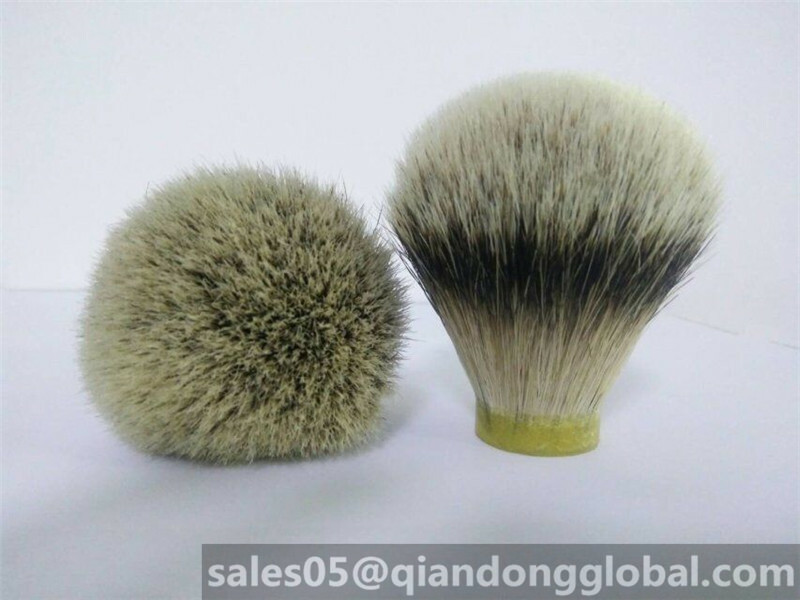 We are China Origin Factory of Badger Knot for Shaving Brush. If you have any question, please feel free to contact us.